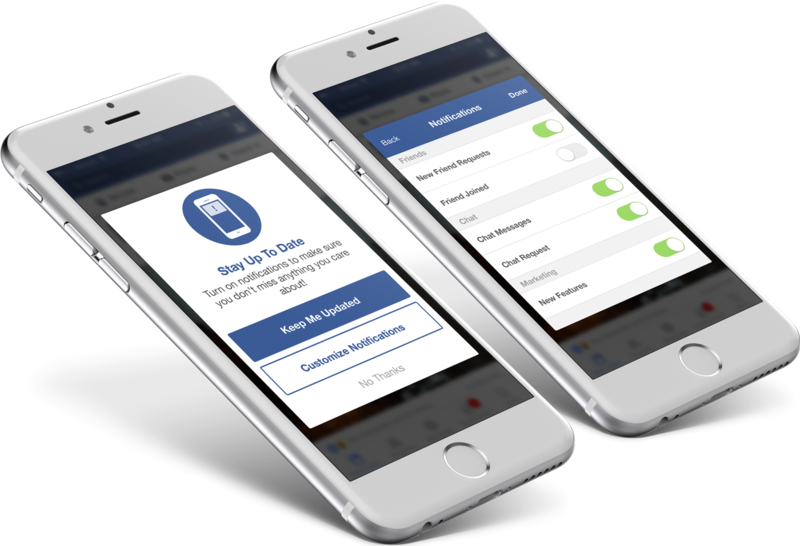 Increase engagement and decrease opt-out rates by letting your users customize their notifications. Send and track push notifications by type using our API, libraries, or online dashboard. Easily create and manage notification settings which allow your users to customize their communication preferences. We’ll handle storage and management of device tokens & user preferences to save you development time. Our mobile SDK provides easy access to ToggleHQ functionality, as well as a customizable UI for managing user communication preferences. Search for users, view & send notifications, manage notification settings, and more! Display a customizable popup with one line of code. © Copyright 2016, ToggleHQ, LLC. All Rights Reserved.